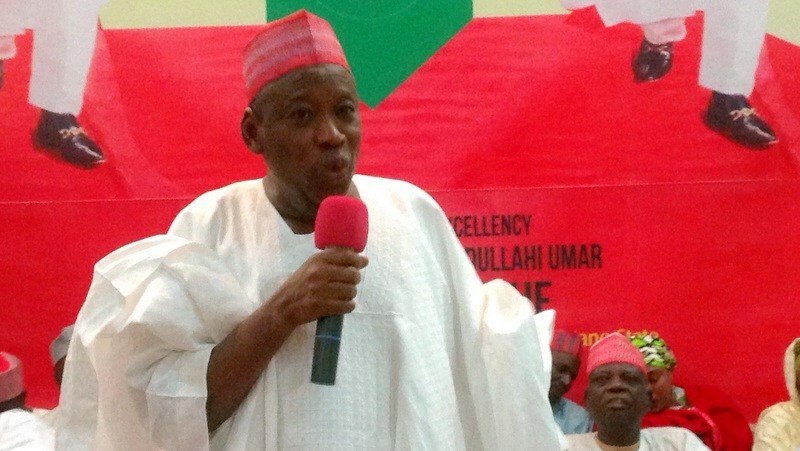 The police in Kano have banned the Kano chapter of the National Association of Nigerian Students (NANS) from embarking on a rally to call for the resignation of the governor, Abdullahi Ganduje, over an alleged $5 million bribe. Mr Ganduje appeared in a series of video, receiving money in dollars alleged to be bribe amounting to about $5million. The money was given by persons believed to be contractors to the state government. The first set of at least 15 clips in possession of online-based Daily Nigerian was published on Sunday afternoon by the platform. The two minutes video was recorded in 2017 in what Daily Nigerian described as a sting operation aimed at beaming a spotlight on the governor’s alleged penchant for contract racketeering. The governor has debunked the video as “cloned” and threatened a sweeping lawsuit against its publisher. But PREMIUM TIMES’ graphics experts who examined the video corroborated the position of Daily Nigerian, which earlier said its internal and independent graphics analysts have authenticated the clips. In an audio announcement sent to Hope For Nigeria on Tuesday evening, the Kano police spokesperson, Magaji Majia, said the police rejected the students’ request to conduct rally on October 29 from Zoo Road to Kano government house. The rally, according to Mr Majia, was to ask Mr Ganduje to step aside to allow for an independent investigation to ascertain the authenticity of the video clips. “I wish to warn the group leader, Comarade Isa Abubakar, to caution his members to desist from embarking on this rally.